Today is a huge day for Apple rumors - it seems that more and more sources now agree that the company from Cupertino is launching the next iPhone and an iPad mini in the middle of September, earlier than many expected. The actual iPhones are set to arrive to store shelves in the third week of September, almost immediately after the announcement in the typical Apple style. And now iLounge - apart from confirming the dates - has learned some interesting details about the upcoming devices. It’s all rumors, of course, so take this with the usual shade of doubt. 1. The new iPhone will be announced in mid-September and ship soon after. 2. Apple will launch two new iPhone cases - a bumper case like the one you know and another one likely to come with a stand. 3. A new iPod touch is coming along with the iPhone. 4. Apple is also updating the iPod nano with a new generation, but there are no details on this. 5. Very atypical for Apple, it will announce a 7.85-inch iPad mini with a brand new 19-pin dock connector in September with the iPhone, but the actual device will only arrive in November. The target here is Christmas shopping but such an early announcement would surprise us. Apple is also bringing Mini Smart Cases and Smart covers. 6. An update to the existing iPad is possible. Not very probable, though - this would definitely not fit Apple’s yearly routine, but iLounge underscored that there is a possibility for a new iPad launch just around half a year after the third iPad rolled out. That newer iPad will be slightly redesigned, but largely the same. The main novelty will be reduced heat output and the introduction of a rear-side microphone for better audio recording during video sessions. How do you like what you hear? Have you marked mid-September in your calendars? Get ready for a hot-hot fall. Ok .. Now lets compare Galaxy S3 vs Iphone 5 or Iphone 4s 2! New iPad (non mini) is highy unlikely IMHO. It would be more likely to find Steve jobs faked his own death so he could secretly work for Google. This whole Apple copying Android based on hardware is really stupid. Android is software just in case you guys forgot. There's nothing about Android that stresses smaller/multiple screen sizes. Screen size is a manufacturing decision that needs to be made by Samsung, Apple, HTC, Amazon, etc. That's like saying the competition is copying Apple by making large screen tablets. Stupid right? E.N. Android was the one who put the 7 inch tablet in the main stage. Just so you know the tablet has been around BEFORE Apple. The size Apple uses was there before Apple decided to use it. Android introduced the 7 inch with the Samsung Galaxy Tab. Apple might be developing a 7 inch tablet to compete with the ANDROID Kindle Fire, the ANDROID Nexus 7 & the ANDROID Samsung Galaxy Tab 2 7.0. So if Apple indeed comes up with a 7 inch tablet, you can say thanks to Android, Samsung, Amazon, & Asus if you want to get technical. Not stupid right? Tablets before the iPad were a whole different ball game, let's not pretend it wasn't. It's so annoying reading that Apple is "copying" Android's screen sizes, I think that's one of the dumbest things I've ever heard. Why don't people say Samsung is "copying" the Kindle's 7inch screen? Why isn't the Google Nexus "copying" Samsung, Asus, etc. Why isn't the Nook copying? At the end of the day, they're all competitors. Deciding to change/vary screen sizes to reach a larger audience is not "copying." Its called making a device to compete in a new market. With your reasoning, Android basically copied everything about iPhone. Yes I know Android was in development around the same time as iPhone, but the prototypes of Android in 2007 were extremely different from the G1 and other early Android devices. So its still stupid. But it doesn't really matter, because I'm pretty an 8 inch tablet isnt happening. iPhone 5 will basically be Apple's most grandeur attempt at playing catch-up because basically every improvement we can view as realistic will either be: 1) Improving on a major design flaw of the iP4 2) Catching up to a technology that Android phones have already implemented There are a few exceptions of course, like battery life and camera, neither of which we except will mirror "revolutionary" changes Apple has brought forth in their previous iterations, even going back to iP4. That is, of course, going of the idea that we will not see massive jumps in performance in either of these departments. My main point is Android is not the same platform Apple was easily able to crush with the release of iP4, and even 4S somewhat. Open Alliance has made significant strides with phones like the OX, Razr Maxx, GS3 and GNote; the battlefield has changed, and Apple is now on an uphill climb, whether they like to see it that way or not. To be honest, I can see the biggest improvement of iP5 being the camera, but that's about it. There's too many comments so I'm only going to address some of the points. Changing screen sizes is not copying. Not only do Android phones have 4+ screen sizes but so do Windows Phone devices as well. Do you know why? Because it has absolutely nothing to do with Android as an OS at all. Probably the only place where I think Apple actually copied Android would be the notification bar and the send text message thingy when you get a call. Everything else is just stupid. You android users seem to forget everything! touch to focus in camera and video, pinch zoom, accelerometer, gyroscope, the app store completely changed everything, the webkit browser (well I guess Apple made it open-source), etc etc. these things were copied. Things like screen sizes, processors, and camera lenses can never be considered as copying. All I am going to say is that Apple's original iPhone could not have been possible without the stolen patents from Nokia. Why do you think that to this very day they are STILL paying Nokia royalties? So if any NEW patents arise from the original stolen ones they should not be awarded to Apple. Just like an Olympic athlete gets stripped of their gold medal because they were found to be doping after the fact, the same should be done in business. Business is corrupt/dirty & should be held to that standard I just preached. Remember if it's good for Apple then why isn't it good for the rest of the industry? So all your examples are null and void. The Apple iPad has been out for 3 years & selling strong, so why now are they even talking about a 7 inch tablet? To answer that question just look at Android. Android’s OEMs have made the 7 inch tablet popular. They didn't invent the 7 inch form factor but made it viable. Tablets have been around for a long time the 10 inch tablet has been a staple for years, Apple didn't invent it they just made it popular. No one had a 7 inch tablet until Android’s OEMs decided to make it. So Now Apple wants to emulate Android. Some people say "copy". To each is own. First, let me correct you on some of your comments. Samsung had the 7 inch form factor first, so how can Samsung copy the Kindle's 7 inch screen? Second, the Google Nexus is made by Samsung. Hello the Samsung Galaxy Nexus. Also we all know that the iPhone would not be possible without the stolen patents from Nokia, thus the royalties the pay Nokia to this day. The iPhone is a conglomerate of stolen ideas & patent. If it's good for Apple then it's good for anybody else. You have to admit that little by little iOS & the "iconic" iPhone are little by little emulating Android. Apple had it's nitch but people are demanding more & these are Apple fans speaking. What do they want? Features that are ANDROID STAPLES. 4+ inch screen for their phones, a 7 inch for their tablets (rumor), Android's notification system even the pull down, & TRUE multitasking. iOS6 is like all the other iOS’s, the evolution is slower than continental shifts. People see this & want more. My reasoning is that Apple is not really sticking with what is "iconic" about them, they realize that to compete they NEED to embrace the best of what the completion has to offer. This is a copycat business, everyone does it & if you don't think that Apple might copy Android's popular 7 inch form factor or more & more of Android's actual OS then you are just being disingenuous with yourself. To end this ---------http://www.youtube.com/watch?v=CW0DUg63lqU Ironic, considering Apple is going ape-s**t with patents. S-Voice is really the only place I can see where Android(more so Samsung) stole from Apple. Google Now is not stealing, that is taking an already existing application and improving it. And if anything, the introduction of Google Now into JB is much less criminal than Siri to 4S, when you consider the fact that Apple was coining Siri as a "new revolutionary technology", when voice-assistant software had been long in development in the Android camp (starts with a V and rhymes with "Slingo") Furthermore, iFans claim that HD screens on Android handsets is some how "stealing" Apple's Retina idea. No, you idiots, it is improving. There is a difference between the two. The fundamental difference between Apple's marketing strategies and Android's is that Apple loves to BLOW up every single little new feature, yet, they are awarded the praise of every awe-struck, drool-faced iFan willing to watch their over-dramatilized keynotes(Even I, from time to time, will find myself under the Apple spell, wowing at something as simple and unecessary as 3D maps on 3.5 inch phone) Whereas Android OEMs like the HTC and Moto will humbly introduce new innovations, letting the public decide whether or not the innovations are significant to them. I love the continental shifts remark Evo made (thank god there is another PhoneArena member out there able to articulate on their beliefs), because Apple's sense of progress mirrors that of a running turtle -- from their perspective, they are moving at an unimaginable rate, blazing the trail behind them. But to us, this turtle has move a few inches from his starting point. & crashedThat was very very good. It's something to be innovative like Apple was from 2007-2009, BUT ever since Android's introduction, Google has beat Apple at their own game. Google has the Google X team that developed Project Glass, Google Now & countless other stuff WE don't even know about yet. Android's OS literally evolves unlike Apple's iOS which to this day is ALMOST exactly the same in look & functionality as the first iOS in 2007. Apple now is buying tech like Siri & filing for any patent it can get it's hand on in order to compete. They are not truly innovating nor creating. I can admit Apple was great when it was the innovation champ, but now Google is great just for that fact alone. I have said this before & I will say it again, Apple is following RIM's path. I remember when RIM was king & people started complaining about how stale the OS & designs have become. RIM was stubborn & rested on their bread & butter sort of speak. They fell faster & crashed harder than a meteorite. Heck they even fell faster than Nokia, another company that did what Apple is doing right now. History tends to repeat itself over & over. If Apple keeps it up they will be the newest RIM/Nokia. +1! E.N. Like I said to you before & to others, BOTH RIM/Nokia had those SAME HIGH DEMANDS. When people bought those phones & saw how bland & sub par then & only then was when he free fall happened. REMEMBER it starts somewhere. How can you tell me that iOS6 is not the same looking OS as the first iOS in 2007. They look identical & do the same thing. Look at Android & you can CLEARLY see the evolution up until Jelly Bean. 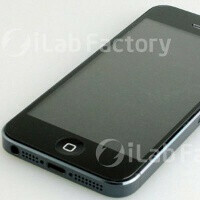 You also look at the iPhone 4, the 4S, & the proposed images for the iPhone 5. The look very similar. These are all the same things RIM & Nokia faced when they were the "demand" kings of their time. You know history repeats it self so why can't you see that Apple is CLEARLY & eerily walking down the same path? C'mon just be objective, & you will see. Ohh please I can give you articles & pictures of the LG Prada that was out before the iPhone. Also the Sony prototype that looks like an iPhone 4 before the iPhone 4 was ever a thought. Android looked like Black Berry then in it's infancy but then went to what it is today not because of Apple. The app layout Apple has in iOS was NOT invented by them. Windows mobile had an app drawer before Apple's iOS was even a glimmer on Steve Jobs eye. Apple's iOS is just a big app drawer & nothing else. Plain and boring. STALE. Maybe Apple stole that from Windows Mobile? Get a clue. Honestly, a lot of Androids changes are with animations and skins, etc etc. When people refer to iPhone being stale, they are talking about the LOOK of the home screens and that's it. Other than that, both Android and Apple continuously update their software to add new features. If Apple copied Android's screen size, Android copied Apple with every phone after the G1. They were building entirely different devices and as soon as the iPhone released, all of them vanished and the G1 didn't even remotely resemble the prototypes. And there were many different prototypes of the same design/layout, none of them having a full touch screen. Ask yourself the question: Why did RIM and Blackberry die off? Was it because there finally came a phone that was better than the Blackberry? No. Blackberries, like iPhones, dominated a large share of the market not because their phones were necessarily better than the competitions, but because their devices had proliferated within the consumer market before the competitors even released their devices of equal caliber, making harder for the newcomers, like the iPhone, to steal the "market share" baton from the hands of Blackberry; the grip was too tight. In simpler terms, BB had come out first and built such a strong popularity with consumers, who blindly purchased BB after BB, without taking the time out survey the field, and see what others have to offer, because given their previous popularity, people automatically assumed BB was the best, and that was obviously not the case. But as we witnessed, the consumer market slowly adapted to the new OEMs and OS'es like iPhone and Android, and realized the how much more capable these infant devices were in comparison to BB, which was still trying to push new devices. Then nature took over, BB lost grip of the baton, Apple snatched it clean from their hands, and we arrive at recent times. What is interesting is, the circumstances under BB's rise and fall are basically identical to Apple's current decline. Apple kick-started a phenomenon with the original iPhone, and had a very generous amount of the time to build their empire. And just as Apple was somewhat neglected during the reign of BB, Android was neglected in its early stages. But just as the iPhone 4 delivered the haymaker to BB, Android phones will continue to do the same, but in portions, with devices like the One X, GS3 and Droid Razr. The market is starting to slowly open it's eyes to the myriad of advantages they can obtain just by switching to Android, and Apple's declining sales numbers serve as proof to this. Now, the iPhone 5 will obviously bolster sales by quit a bit, because Apple still has a healthy amount of die-hard, no compromise iFans(such as yourself, most likely) to sustain their sales. But if we techies have any sort of knowledge about what we are saying, it is unlikely that the iP5 will fix many of the complaints the public assessed with iP4s and iOS 6, so when you multiply that with the public's new-found awareness and appreciation of the vastly superior Android devices, it becomes easy see why iP5 may prove to me nothing more than Apple's dying blow -- Sure it might get a good hit in, but the legs would've given out already. Now of course, this is only the smartphone industry. There is still the tablet industry that Apple dominates, and the TV industry they will most likely enter soon enough. But if you understand the idea of hegemonic cycles in consumer electronics, smartphones especially, you will see how and why Apple is slowly crawling towards it's grave, and why Android will soon be the smartphone standard. I skimmed through your comment and I just have a couple of things to say. First of all, if the iPhone 5 is any good, it will do severe damage. I've been reading the same comments like yours when the 3GS released after the 3G. And when the iPhone 4 came out, everyone shut the hell up for a year, lol. Secondly I'm not crazed about the iPhone. I've been waiting to try a new OS for the longest time, but Android doesn't do it for me. Yes, but you have to understand, Android was not of the same calber when the 3GS released as it is now. Sammy's profit number for sat quarter must have really stung the folks at Apple. Add in their own under-performance, and they are making sure that they will own the XMAS shopping quarter. If they had inventory stockpiled, Tim Cook would be announcing the new toys tomorrow. The leaking is the only thing they can do to slow Sammy until they get enough inventory built up. Edit - last (as opposed to sat; auto correct is a PITA). PA - you should make comments editable after someone else posts. One lesson Apple (and everyone else) learned from the long wait lines and 1 month shipping delays of years past is that delay hurts sales. Look at the difference in the roll out of the GS III versus the GS II. The only way to counter the delay (and resulting lost sales) is to stockpile inventory. Foxconn is building the new iPhone as fast as it can; it still takes time to build a 10 million unit stockpile - about 3 months, it seems. Will they ever update the iPod Classic again?